Michael Moore had “never heard of such a ruling.” Moore told the ArtsBeat Blog he never had to deal with any corporation suing him to find out how he gathered his information. “Obviously the ramifications of this go far beyond documentary films, if corporations are allowed to pry into a reporter’s notebook or into a television station’s newsroom,” said Moore. Moore hoped the decision would be overturned on appeal and, if not, Berlinger should “resist the subpoena.” He also said that “hundreds of filmmakers” would support Berlinger’s fight to not turn over his footage to Chevron. The New York Times put together an article that suggested this decision re-ignites a debate over whether a documentary filmmaker should have journalistic privileges or not. The lawyer for Chevron, Randy M. Mastro, according to the New York Times, firmly believes that “Crude” should not be considered journalism. And, Mastro claimed that this decision is not about “the First Amendment” or journalistic privilege. A key problem is the fact that documentary filmmakers are expected to have subjects sign releases that they agree to appear in the film. With “Crude,” pact agreements were actually formed between the filmmaker and the settlers and those agreements would clearly be violated if Chevron was able to use the footage for their own agenda. What are documentary filmmakers supposed to do in the future if this stands? 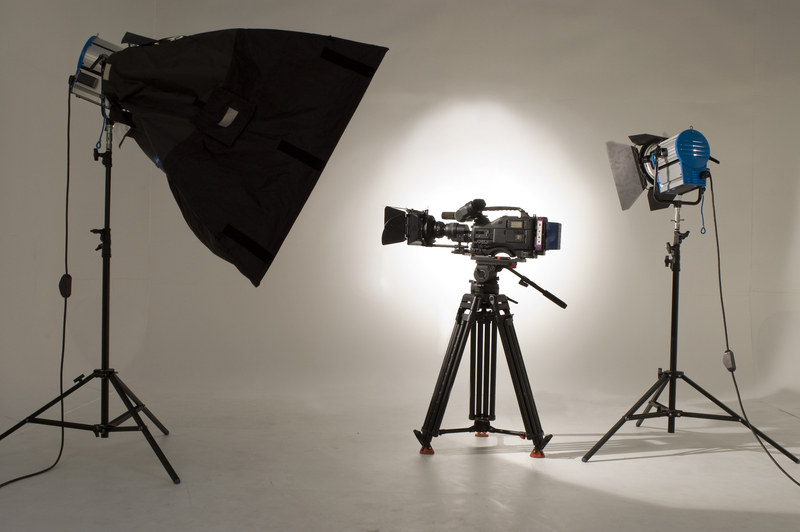 What will filmmakers need to look out for and do to protect themselves? What additional amount of self-censorship will filmmakers have to engage in? Will filmmakers have to begin to destroy all of their footage that they have left over once their film is complete? How are filmmakers going to handle a reality where corporations can force filmmakers to compromise their sources and turn over unused footage to them? At a time where BP is responsible for the leaking of oil in the Gulf of Mexico, what should those documenting the destruction be weary of if a precedent is set that corporations like Chevron can subpoena unused footage to take down plaintiffs who are challenging business practices and suggesting corporations should be held responsible or accountable for their actions? There are many more questions about the ramifications of this decision on filmmaking. The issue of journalistic privilege and documentary should be the subject of conversation for the next months especially if filmmakers unite and mount a visible effort in support of Berlinger’s right to not hand over the footage to Chevron. The following is Associate Professor of Columbia College Chicago and documentary filmmaker Russell Porter’s full response to the decision. I am an Associate Professor at Columbia College Chicago with almost forty years experience as a documentary filmmaker, journalist and teacher on five continents. I have extensive experience of working with indigenous people and their struggles to maintain their traditional ways of life in the face of ever more destructive encroachment by extractive and environmentally damaging industries. I first visited the upper Amazon region of Ecuador in 1969-70 when I lived and traveled through the then pristine Amazon regions bordering the Napo River, and was privileged to visit several indigenous communities (including the Huaorani/ Waorani and Achuar people). I returned to the region on a research trip in 1999 to see for myself how this unique world had changed during my lifetime. I was appalled buy what my Huaorani hosts showed me as a result of the impact of oil exploration and extraction on their health and environment. I traveled with them to several sites that were at least as damaged by oil spills and dumps (in “piscinas”) like those shown in the film “Crude” – which, in my my view, if anything understates the impact on the culture, environment and the ecosystems that have sustained these communities for millennia. The Huaorani community I visited (in the remote Shiripuni region) had been forced to relocate there since their traditional homeland had become unsustainable as a result of the massive intrusion of oil industry machinery and associated contamination and deforestation. I also visited the regions around Lago Agrio featured in the film, and witnessed the total transformation that the oil industry has cause to the environment integrity, health and well-being of traditional indigenous people there, with the associated often violent social destruction of their way of life. The reported federal judgment that filmmaker Joe Berlinger must turn over his outtakes to Chevron’s defense lawyers strikes me as an arbitrary and dangerous interpretation of the First Amendment. The role of independent documentary filmmakers has almost totally replaced what was historically the function of investigative journalism – in fact there is no difference between the methodology and social/political function of filmmakers like Berlinger and that of – say – Carl Bernstein and Bob Woodward during the Watergate scandal. Without such scrutiny, It is my opinion that the ever-increasing corporate malfeasance would go unchecked, to the detriment of society as a whole. It is an intrinsic facet of our democratic system that such independent scrutiny is allowed the full protection of the law. The cynical dismissal of the film “Crude” as “…a case of a lawyer who decided he wanted to be a movie star” would be laughable if it were not so obviously disingenuous, self-serving and untrue. Documentary filmmakers of course have the right to include, structure and interpret their raw material in any way they chose – just as a journalist will draw on his or her research notes to compile a coherent narrative story. Film material is edited in just this way, and for whatever reason some footage may be left out, it remains the intellectual property of the filmmaker and he or she is under no obligation to hand it over to anyone. It is a right – just as that held by journalists – protected under the First Amendment. Whatever the legality of the case against Chevron, the principle is unchanged.